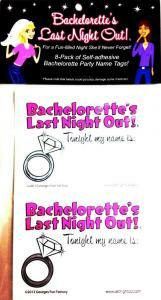 Bachelorette Name Badges GE126. 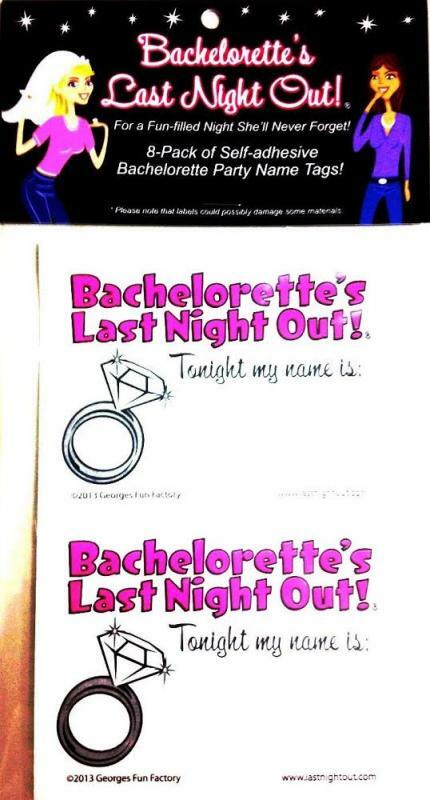 These are essential for every Bachelorette party! All the guys can instantly start a conversation with each girl as if they know them! Includes 12 self-adhesive name badges. George's Fun Factory. Manufacturing fun. New individual images added July 17, 2011.